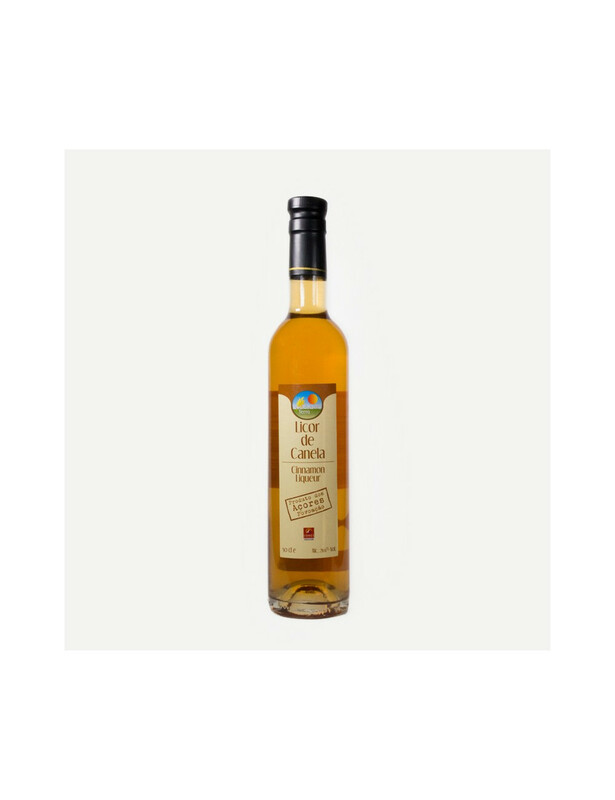 Cinnamon liquor from the island of São Miguel, produced by Cooperativa Celeiro da Terra. Liquid product obtained from the mixing all its ingredients. Presented in bottles with no added colorings or preservatives. Featuring a crisp yellow color with aroma cinnamon. Ingredients: cinnamon, alcohol, water, sugar.